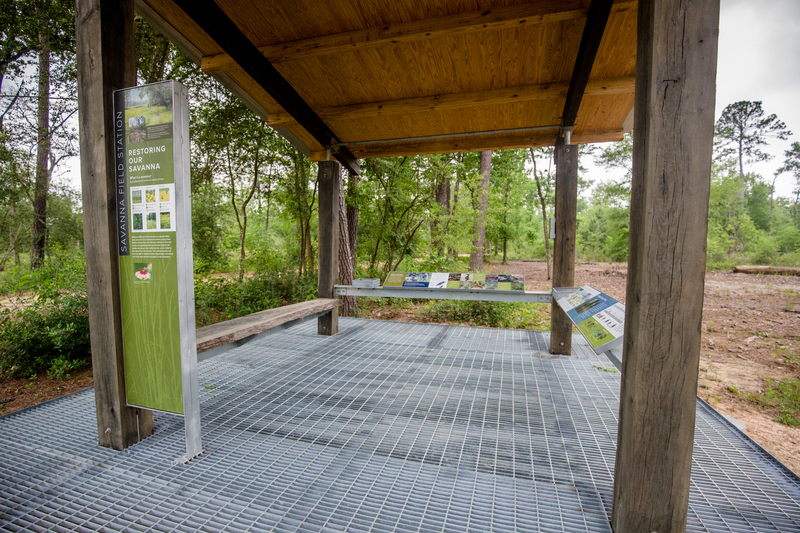 Main Street Design is delighted to announce the completion of the Houston Arboretum & Nature Center's new Savanna Field Station – the first in a series of satellite interpretive destinations to be located at intervals along the Arboretum's trails. These simple shade structures, built in part with salvaged native post oak lumber harvested and milled on site, provide information about key habitats and about the Arboretum’s ongoing restoration efforts – a living ecological experiment designed to restore resilient native environments and showcase the positive role that people can play in the natural world. Click here for more information about this project.